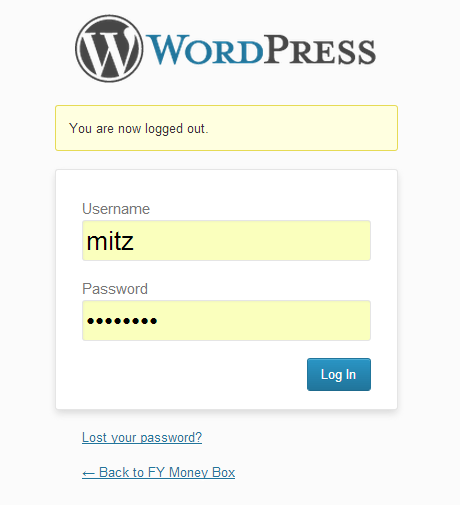 It is a good idea to disable Remember Me WordPress option on the WordPress login page. 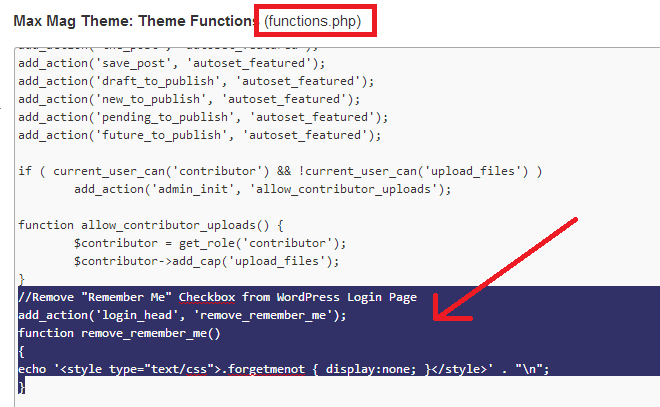 By checking that option for WordPress to “remember me” you are leaving your site open to hackers. Of course most web masters often presume that it would never happen to them, but when it does, is it really worth the risk? By checking the box next to “remember me” on the WordPress login page you are saying that you want to stayed logged in. One good reason to disable remember me WordPress option is for people that are using a public computer. It might not be the actual owner of the site either as some WordPress sites have people logging in all the time. For example my site has guest posters and I also have a virtual assistant. How do I know where these people are logging into my site. Are they a WordPress security risk for me? The website owner might be aware of this login option to remember me but other may not. Note: This is a basic HTML/CSS tutorial. You must have some understanding of how to edit your WordPress code in order to follow this tutorial. 2. Go to the Appearance menu, then click on Editor. See the screenshot below. 3. In the right column click on the functions.php file to edit. Copy all the text in the box and paste it on a notepad just in case you make a mistake. 4. Paste the code into the Functions.php file. The code is listed below. The screenshot above shows where I pasted the code into my functions.php file. You cannot paste the code into the middle of another function so be careful and if you make a mistake, remove the code and try again. 5. Now press on the update button below the box to save changes. You can avoid all of this code editing by simply installing a plugin to your WordPress site. There is one available for free called the Remember Me Not plugin. I would rather edit the code as it only took about a minute to do. It is up to you whether you remove remember me WordPress login option but what do you need it for? I always check this box so that i dont have to put password everytime when i logon my account alsoI know that it may be the cause of getting hacked. its always been cool to do certain things which are out of league, and i love that, and therefore would check out this trick. but i think as i do not have a list of guest poster also I use my personal computer to blog hence there is no need to remove remember me option. Well, come to think of it, the “Remember Me” option since to be a nuisance rather than being helpful. I may be wrong to say this but this option is somewhat stupid. Well, not that stupid since it has its uses but nowadays where hacking of sites are rampant, it’s not safe anymore to use this option. Luckily, thanks for your post because now I know how disable it permanently. Edson Hale recently posted..How to get your success back? It is good advice for security. We should uncheck the remember me option. You have explained everything deeply.Looking forward for more from you. Nice post, it is too important to disable the remember me button.. when you are on a public computer it sometimes brings you a lot of problems if you have a check on it…Thanks for sharing. Well remember me option is for the ease of the user, but sometimes it may even lead to some wrong works. 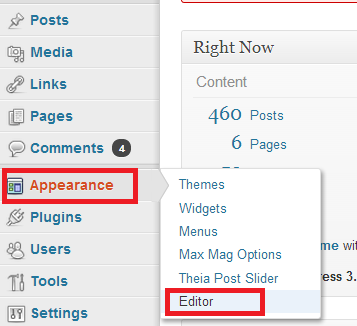 For bloggers using WP in cafe should remove this option for their safety. Ashutosh recently posted..Smartphones- Are they Worth Buying? Thanks for sharing this important post with us. Yes, for security purpose we have to disable this feature and for this I really like the plugin you mentioned above. This post is very helpful. I tried to locate where exactly I should place the code in my functions.php file and could not find it. I’ll try to go over it some other time. We need to do it because we look like an easy pray to hackers. They may not bother with small blogs but once your audience grow, you certainly become a target. i am too lazy so i always tick this box so that i dont have to put password next time but this habit is not good as this will increase the chances of getting hacked so we should use these tips to protect our privacy. Yes this is one of the finest option to protect your account from security point of view. this article is right on time. I ‘ve written a guest post on security threats and the essential plugins to cope with such, if you want me to include the link, let me know. I heard about Pat’s site. I have been in this situation before but I moved my site asap. I also have a dedicated server and shred hosting. The thing is, I cannot afford to have any big sites shut down as it costs too much in earnings and hassles. If you are on a dedicated server and using all the bandwidth it only is your problem. If you are on a shared hosting server then they will shut you down because your site would be stuffing up everyone’s sites on the server. How timely, I actually thinking how to remove this “remember me” for security purpose.Glad I found your blog. It is good option for security. We should disable the remember me option. You have explained everything nicely. Thanks for sharing it. it is the basic for anyone out there using or accessing any of the site where you have your account associated. It is always a good practice to uncheck the remember me button.